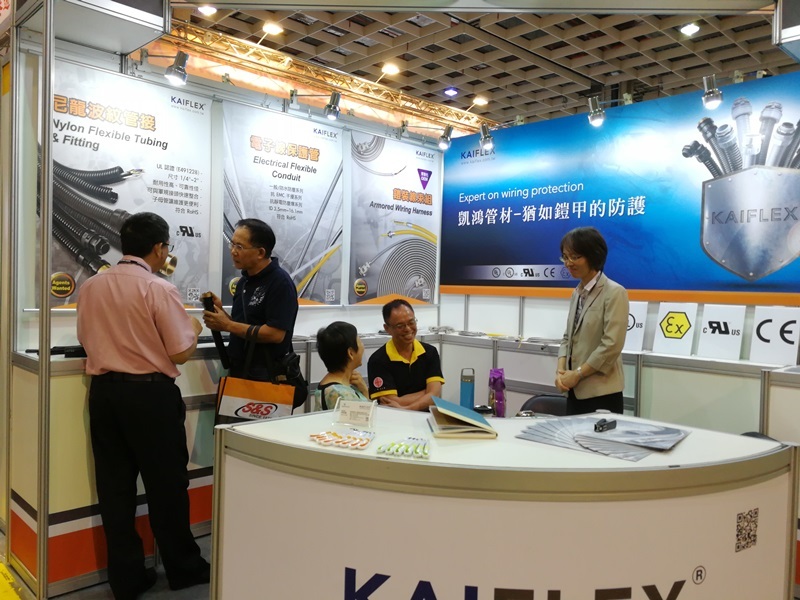 Welcome to visit Kaiphone at Taiwan Automation Intelligence and Robot Show 2018 (Booth No. K1213) - Kaiphone Technology Co., Ltd. Welcome to visit us at Taiwan Automation Intelligence and Robot Show 2018. Kaiphone Technology Co., Ltd. was established in 1993 in Taiwan. We have been working in the field of electrical wiring protection conduits and fittings for more over 25 years. In 2017, we officially joined the "Taiwan Automation Intelligence and Robotics Association". Looking forward to having plenty experiences of flexible conduits and fittings used in the field of automation and robotics. 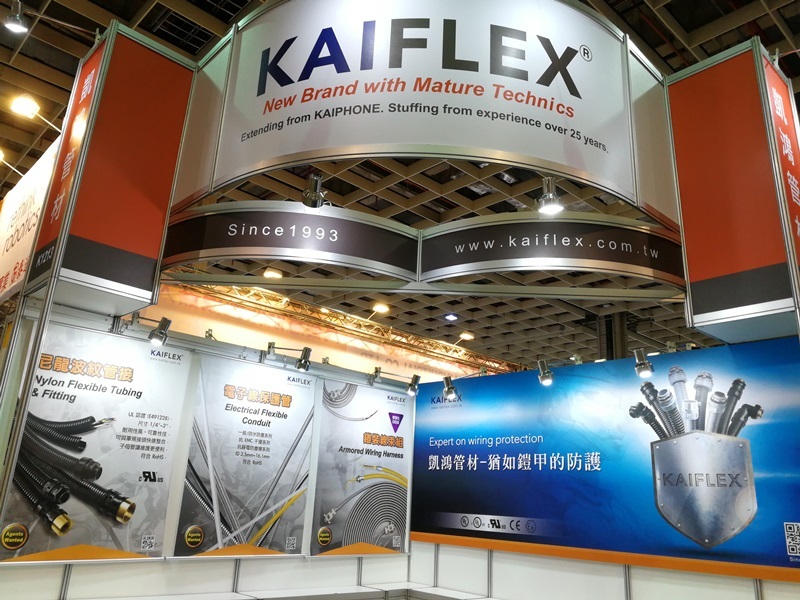 The main products expected to be presented in this show is Nonmetallic Mechanical Protection Tubing & Fitting (UL 1696), Armored Electrical Flexible Conduit, Wiring/Cable Harness, etc.